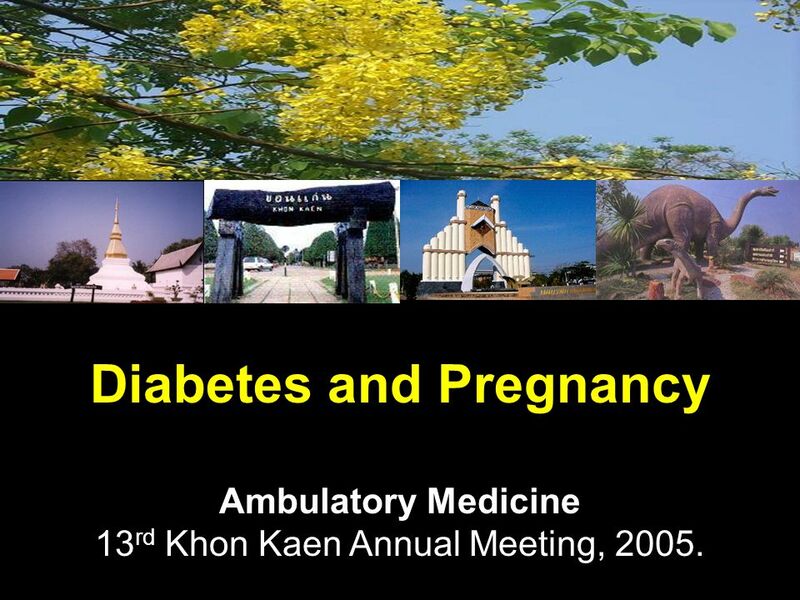 Diabetes and Pregnancy Ambulatory Medicine 13 rd Khon Kaen Annual Meeting, 2005. 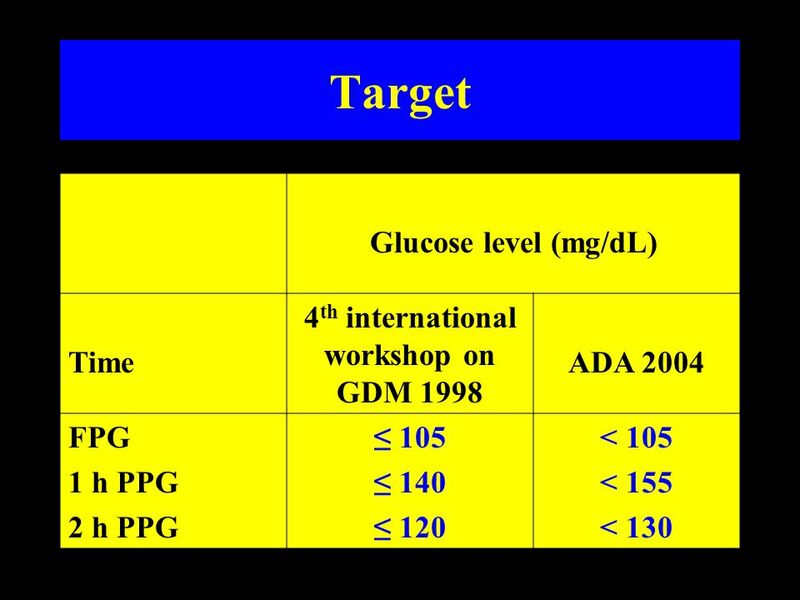 1 Diabetes and Pregnancy Ambulatory Medicine 13 rd Khon Kaen Annual Meeting, 2005. 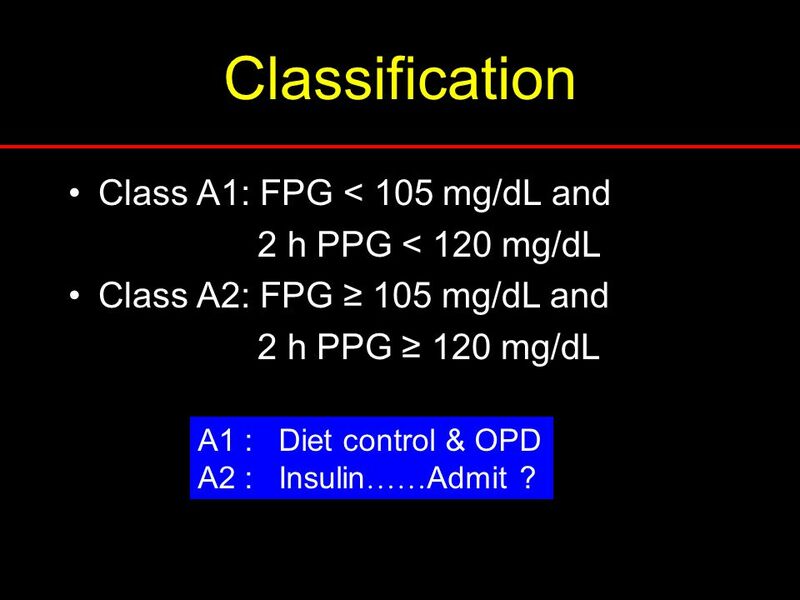 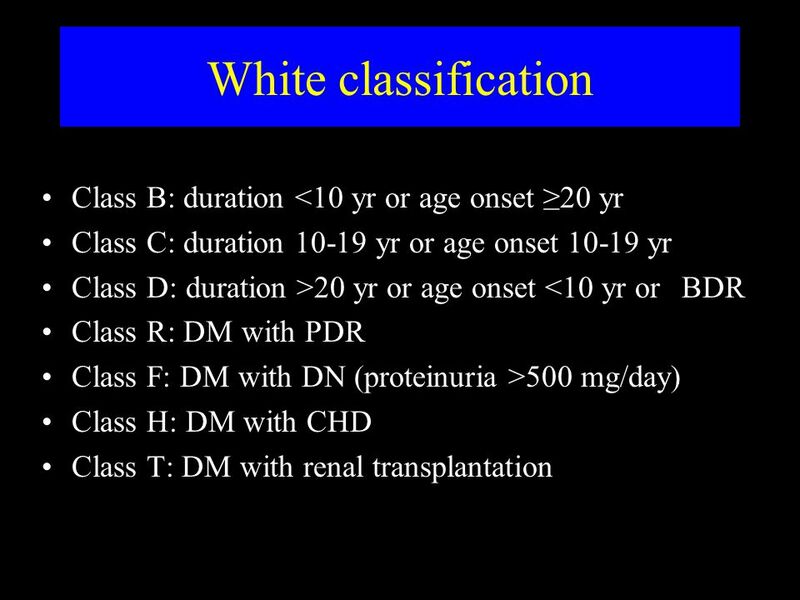 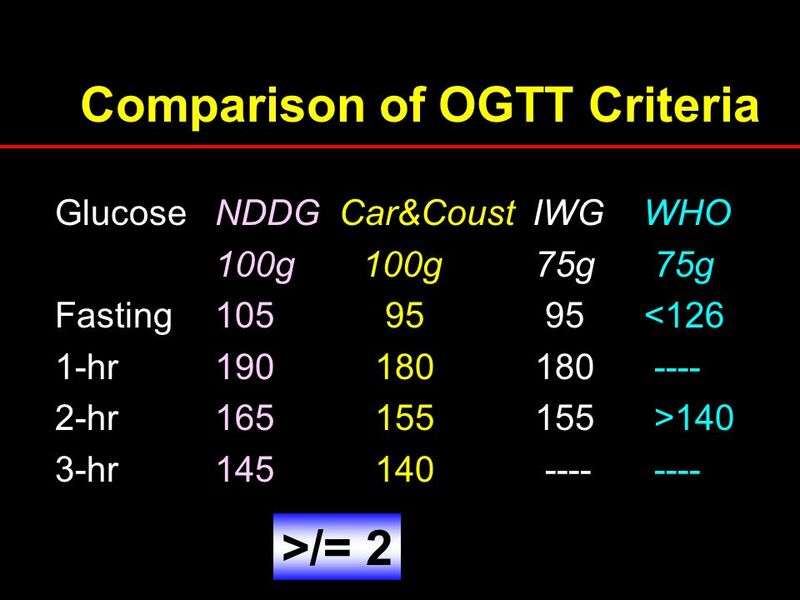 23 Classification Class A1: FPG < 105 mg/dL and 2 h PPG < 120 mg/dL Class A2: FPG ≥ 105 mg/dL and 2 h PPG ≥ 120 mg/dL A1 : Diet control & OPD A2 : Insulin …… Admit ? 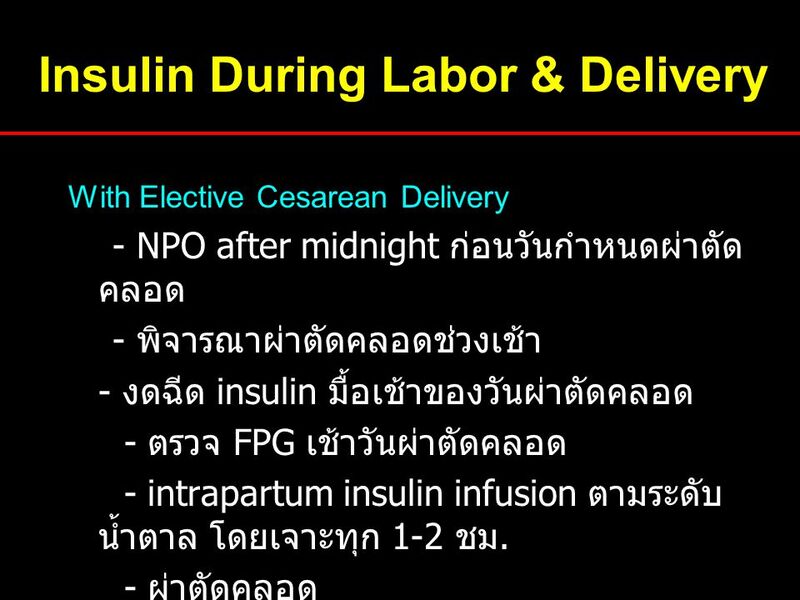 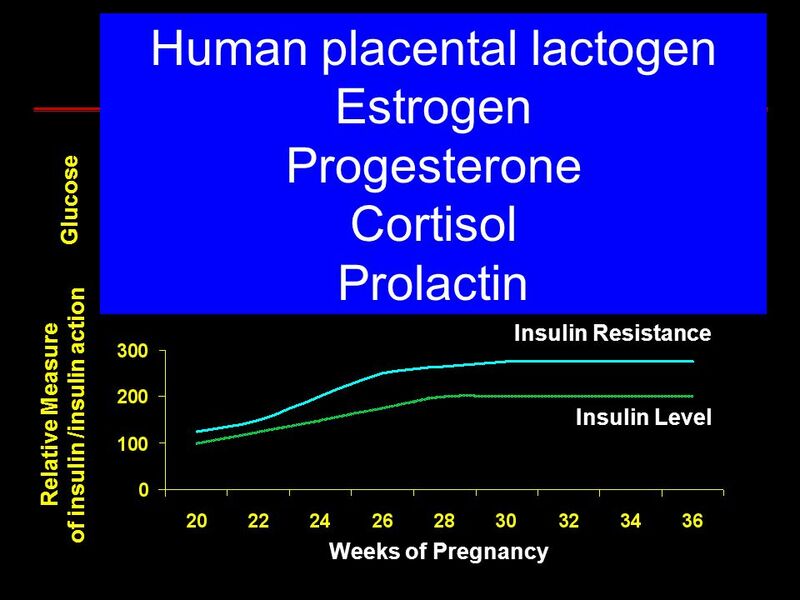 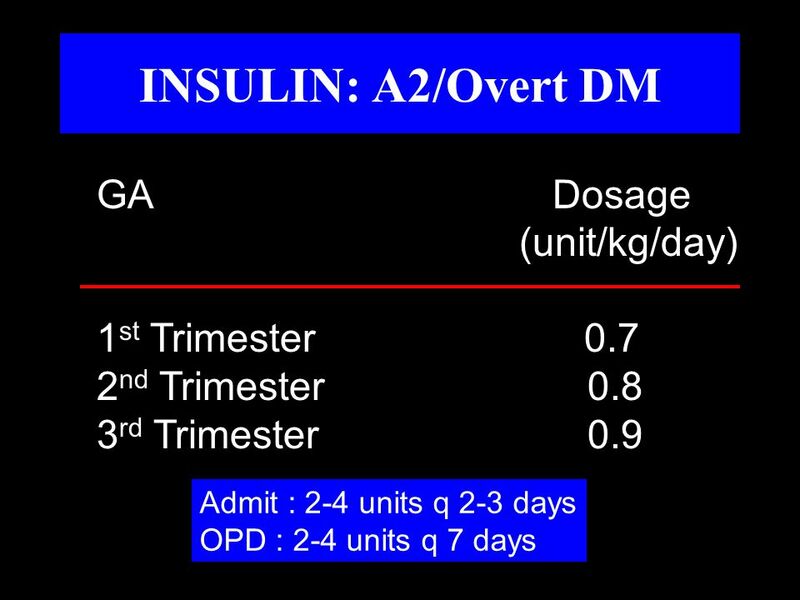 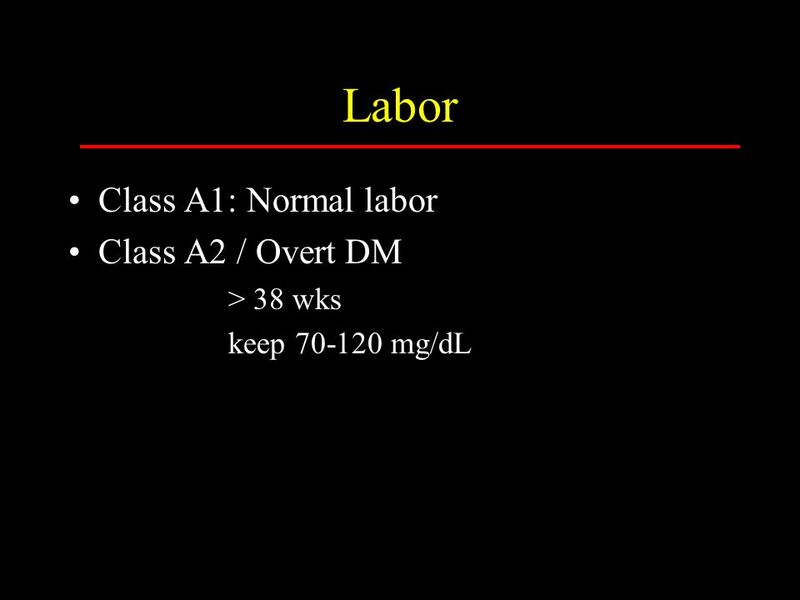 32 Insulin During Labor & Delivery Vaginal delivery: - NPO after 24.00 ก่อนวันกำหนดคลอด ในกรณีนัดวันคลอด - NPO ตั้งแต่ admit ในกรณีฉุกเฉิน - งดฉีด insulin วันกำหนดคลอดในกรณี นัดวันคลอด - ตรวจ FPG เช้าวันกำหนดคลอด - intrapartum insulin infusion ตาม ระดับน้ำตาล โดยเจาะทุก 1-2 ชม. 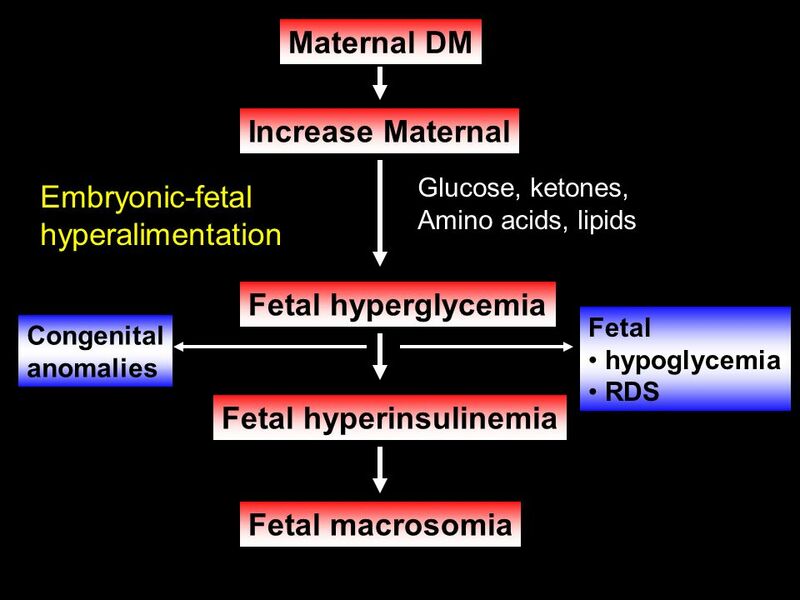 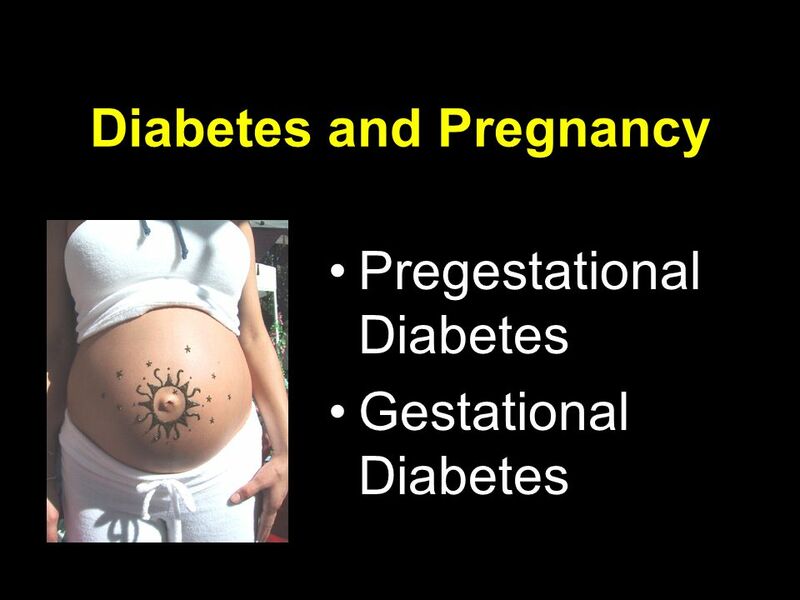 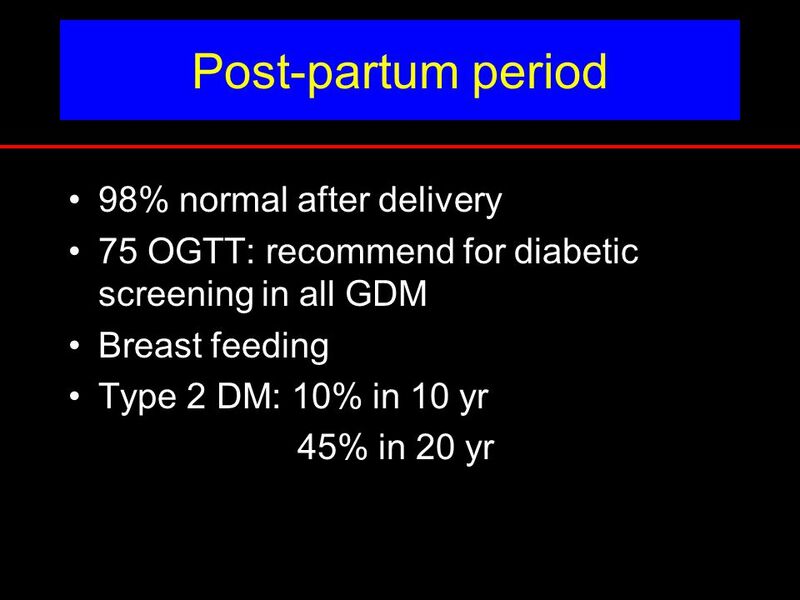 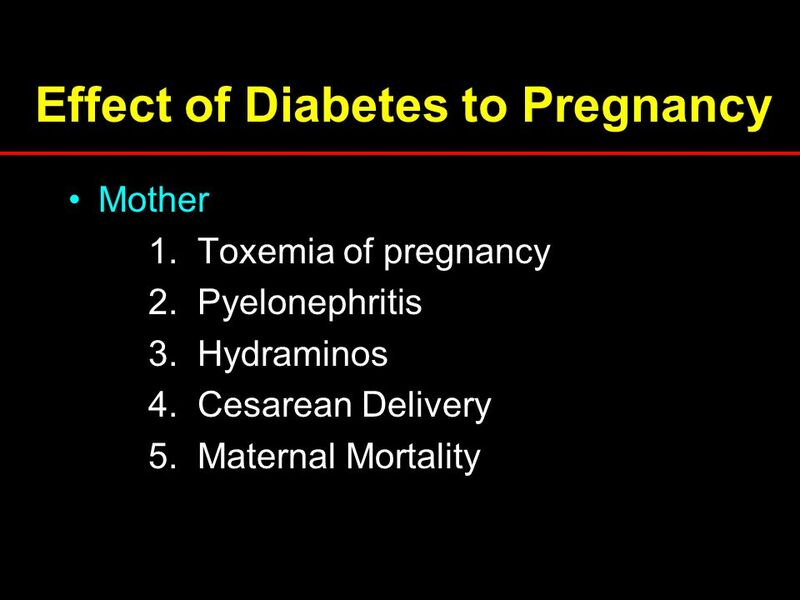 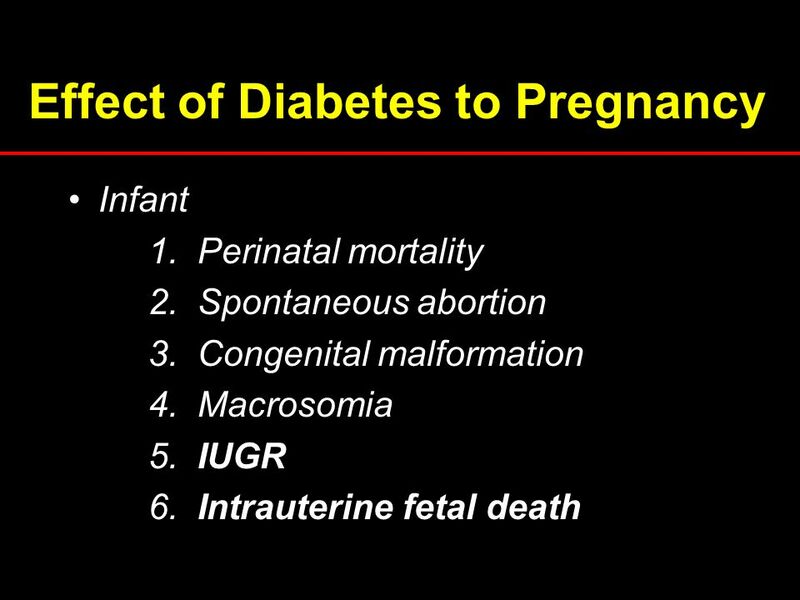 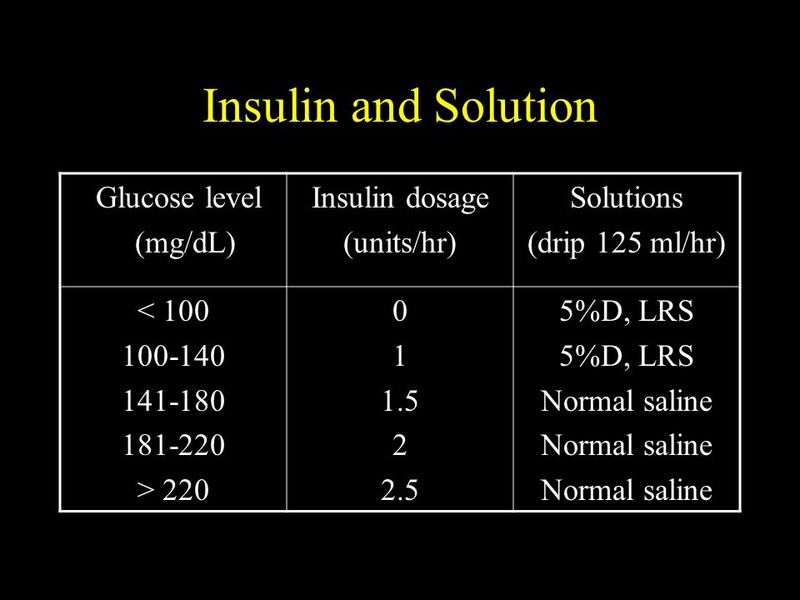 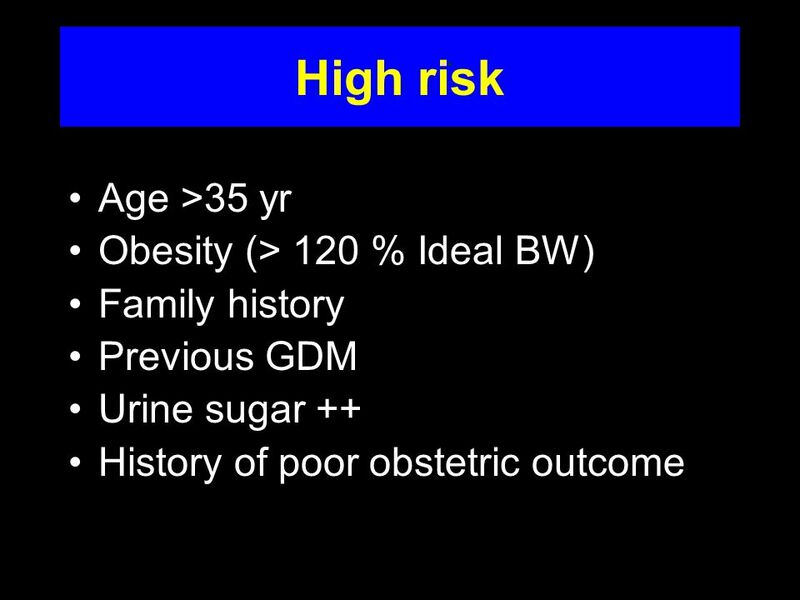 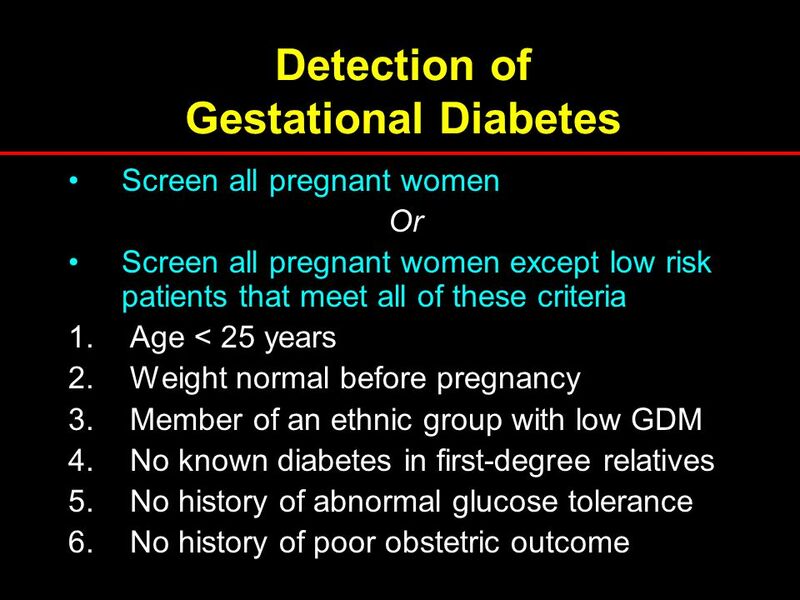 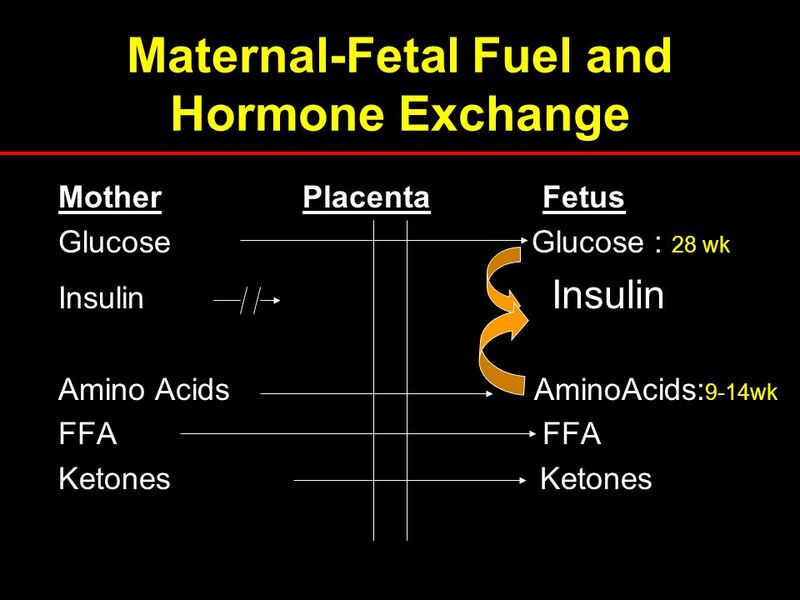 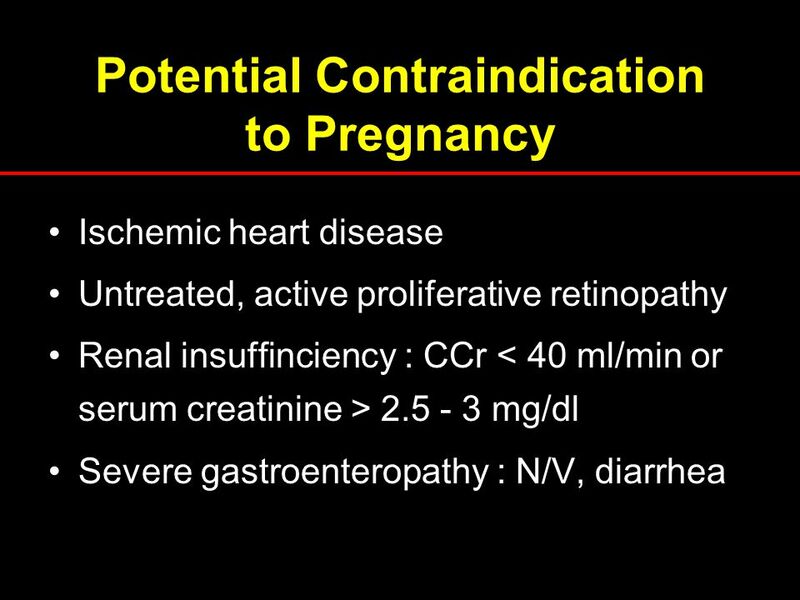 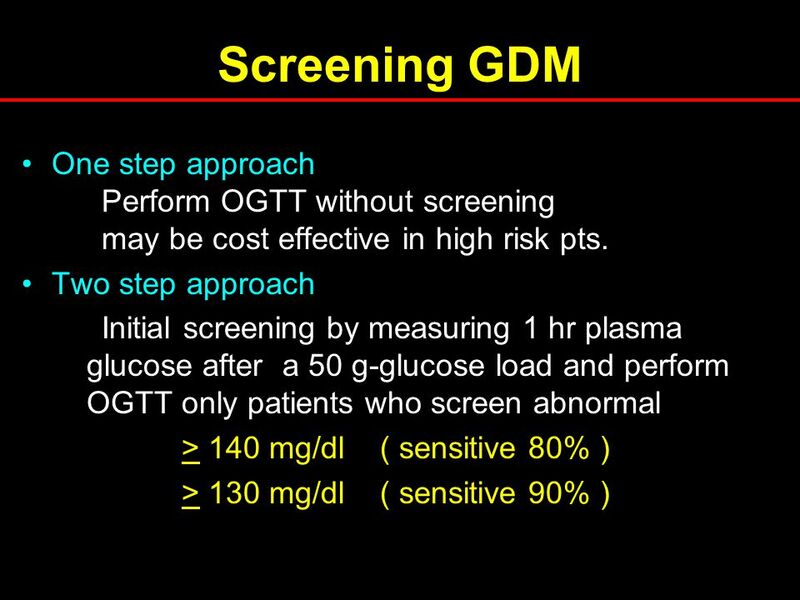 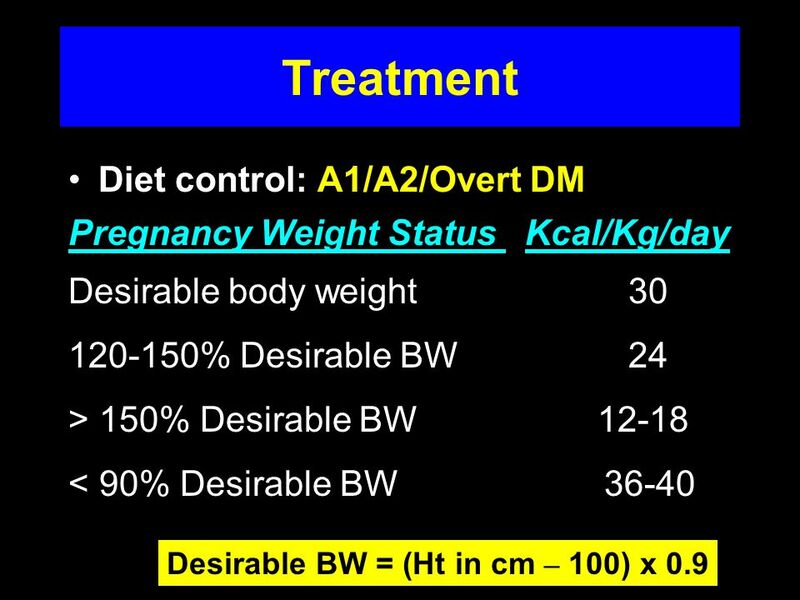 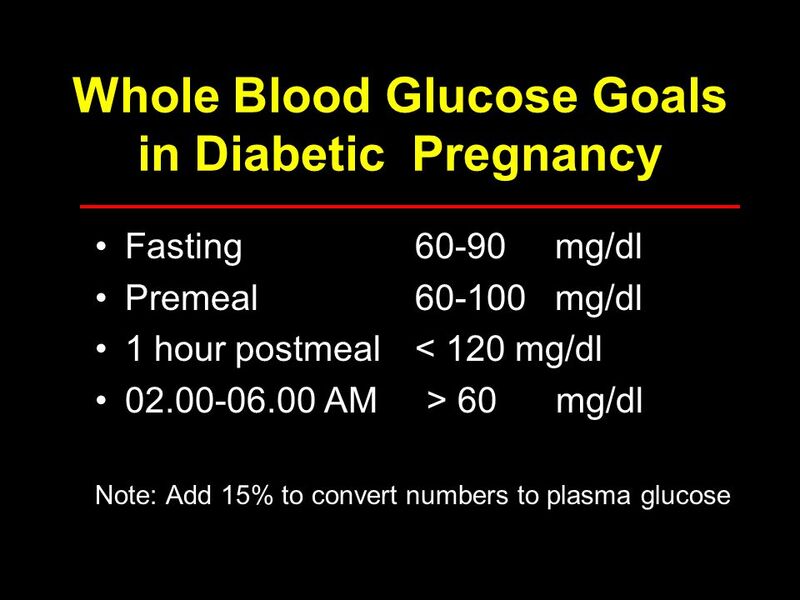 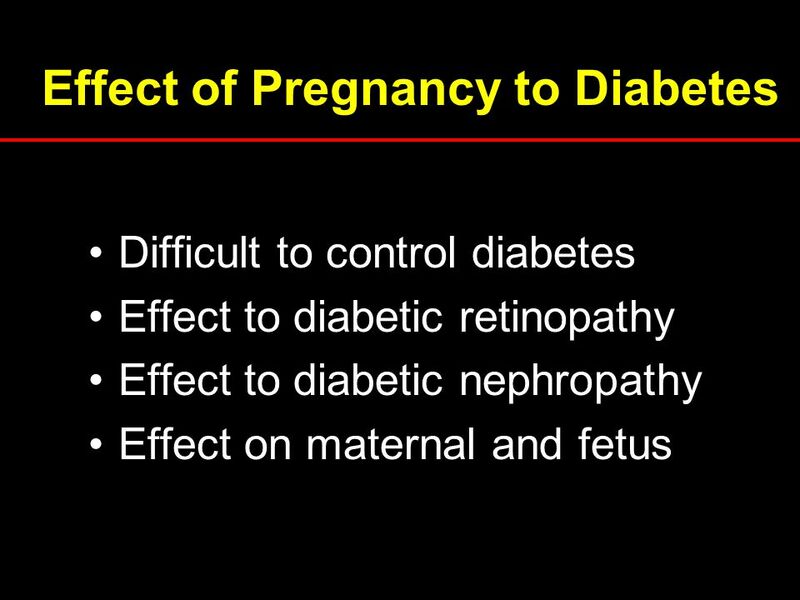 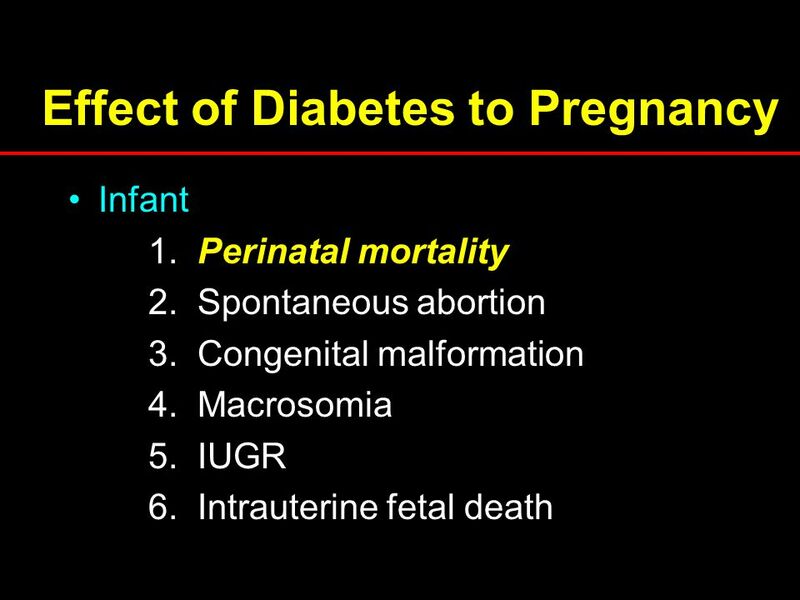 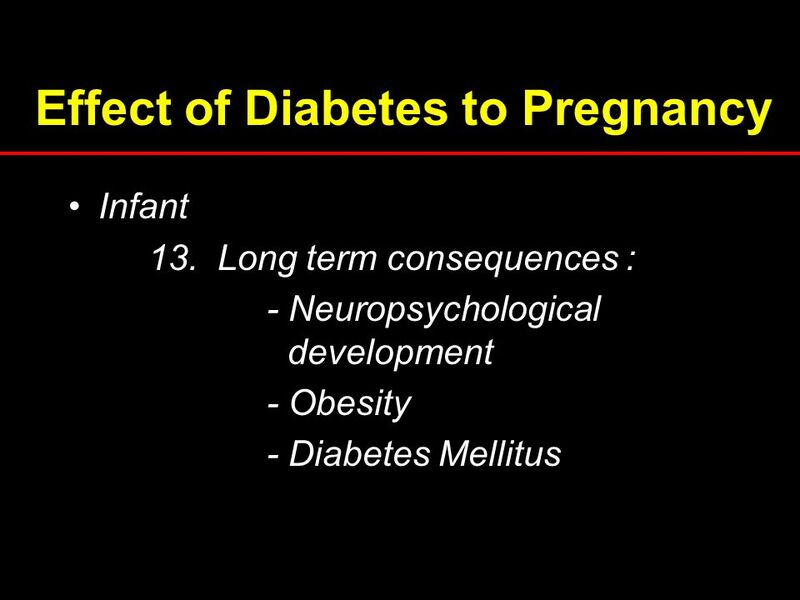 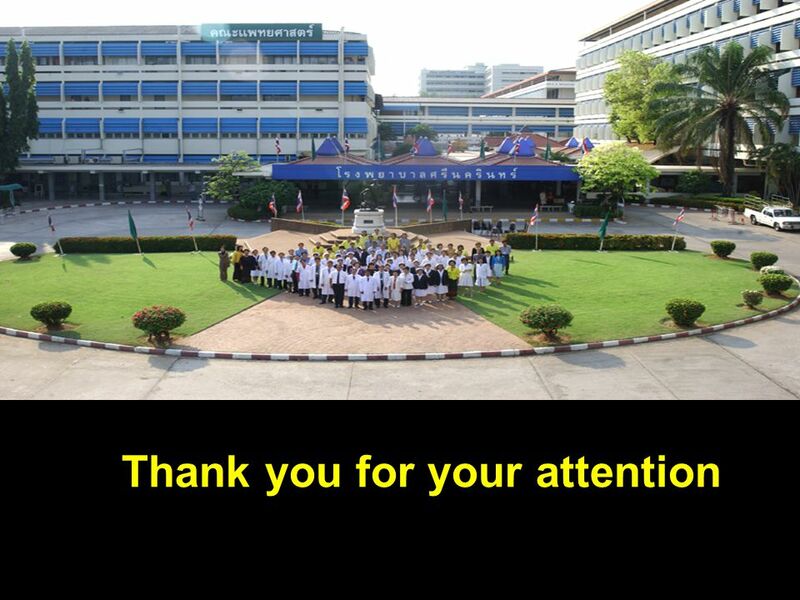 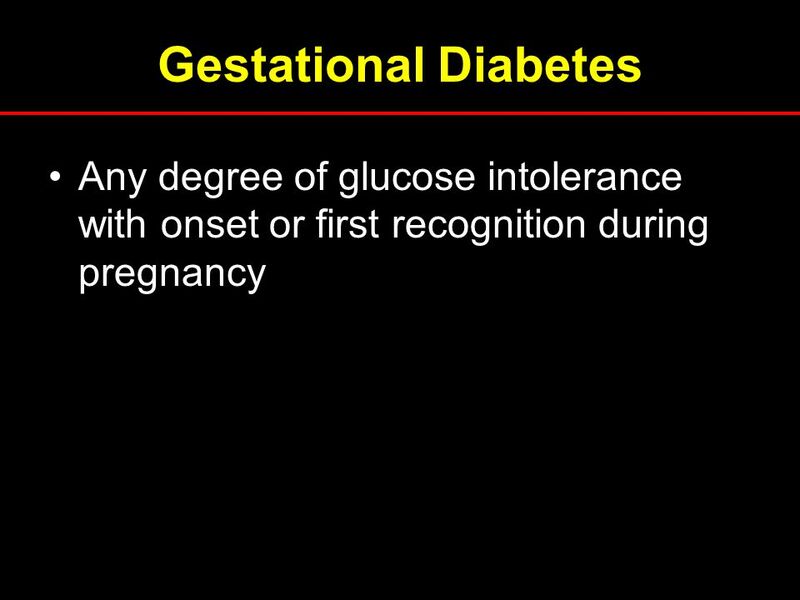 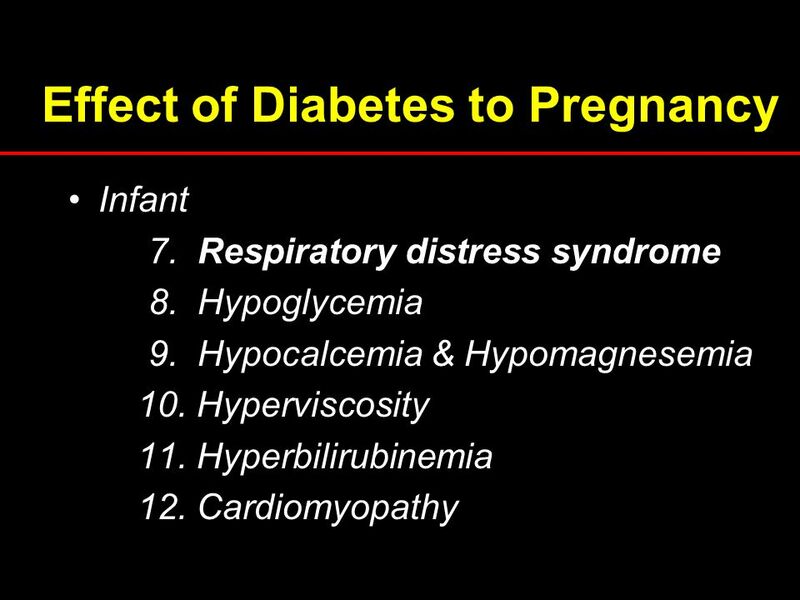 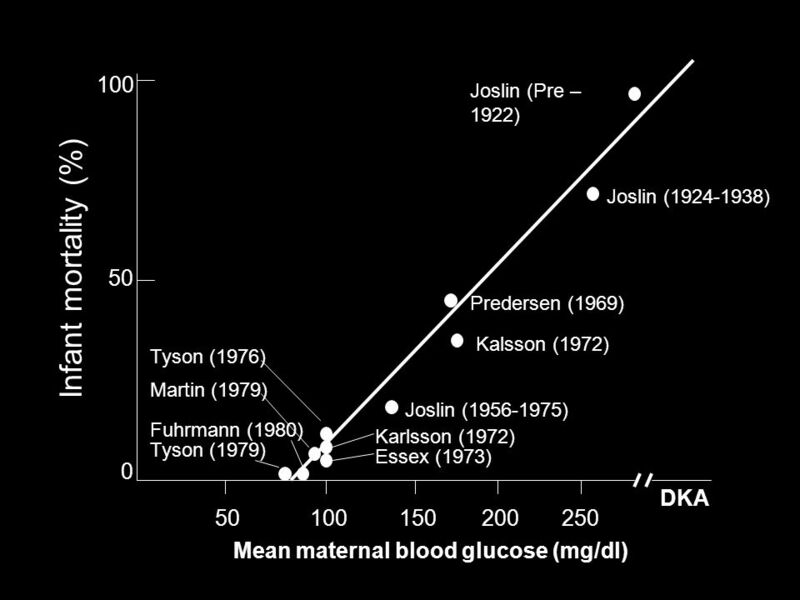 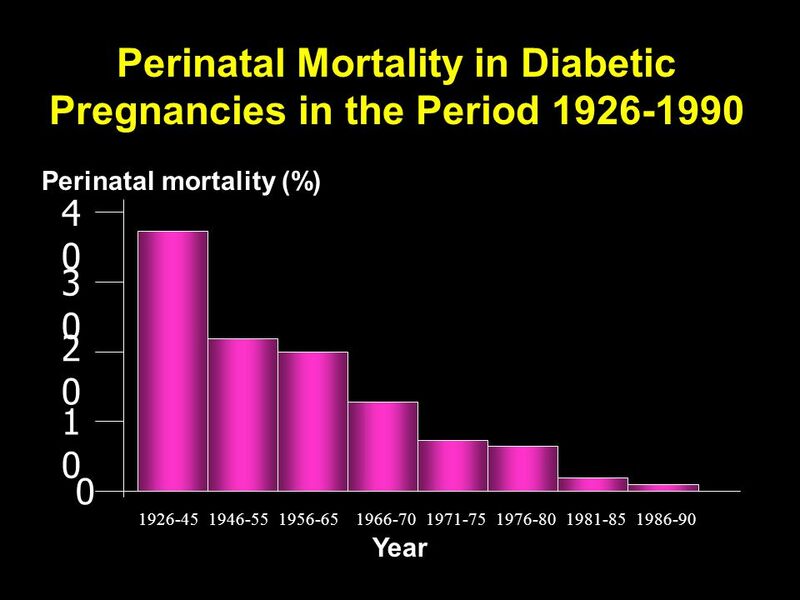 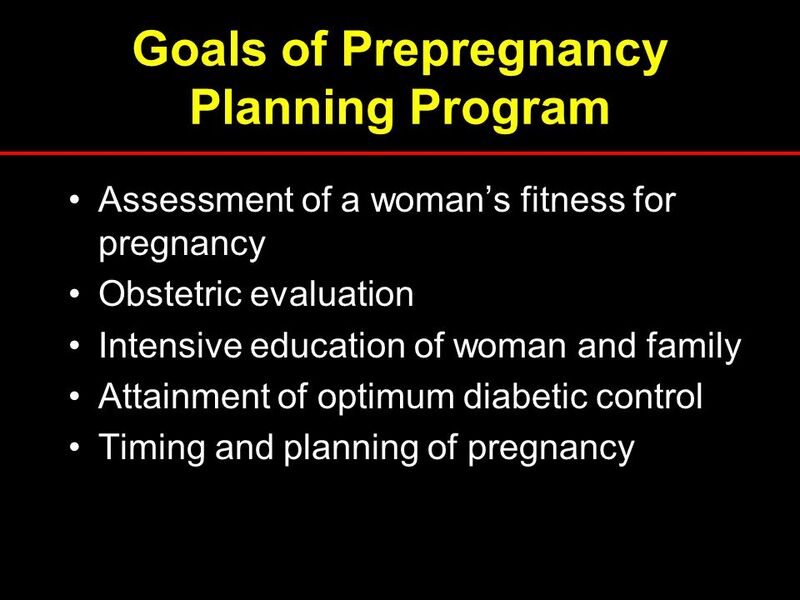 ดาวน์โหลด ppt Diabetes and Pregnancy Ambulatory Medicine 13 rd Khon Kaen Annual Meeting, 2005. 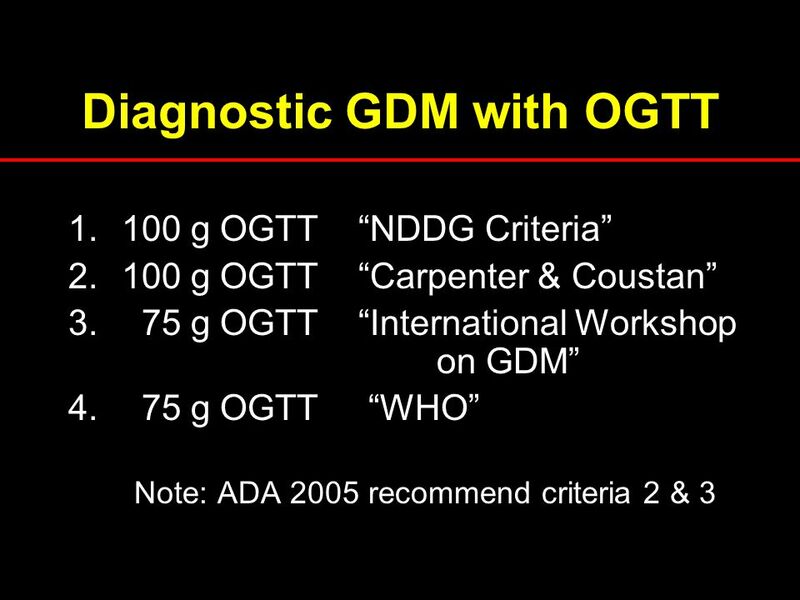 Orientate MSD5 By C. Wongvipaporn. 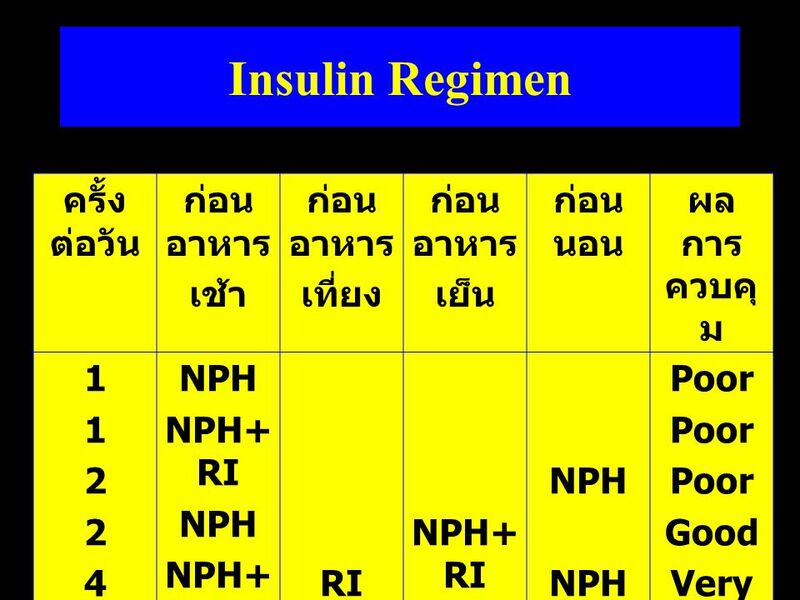 Part I Part II Expansion Units 4-6 Created by Mrs.Sumnao Charoenpong. 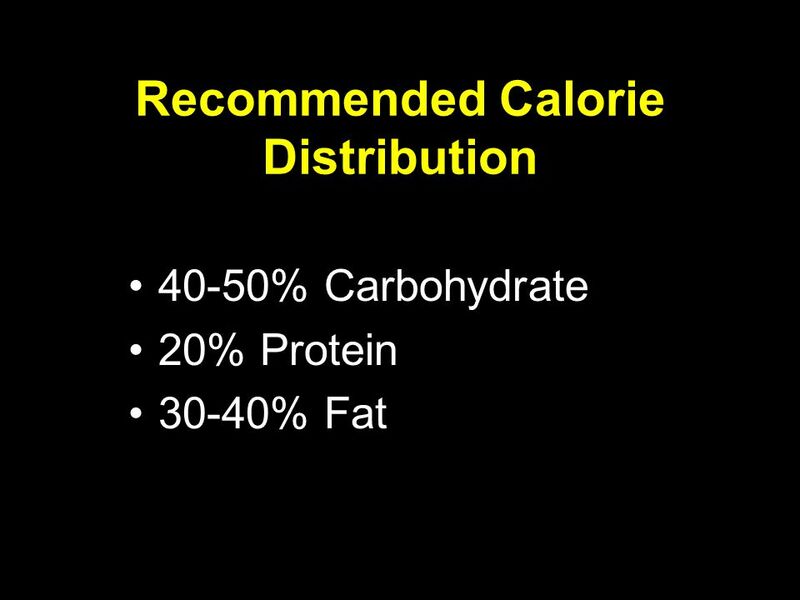 Color Standards A pixel color is represented as a point in 3-D space. 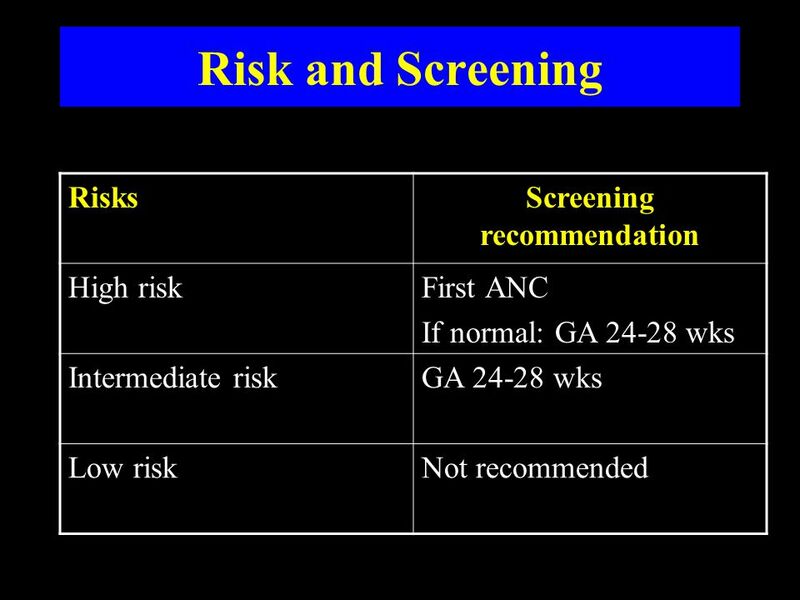 Axis may be labeled as independent colors such as R, G, B or may use other independent.